You suspected it. Now you know it. If you don’t know much about computer security, you might come away from the past few months with the idea that criminal hackers are gods. Breathless news coverage has portrayed LulzSec and its ilk as capable of striking down mighty (though mortal) targets at whim, including law enforcement, three-letter government agencies, and major corporations. And if the hackers are omnipotent, companies can take even less responsibility for protecting customer information than they already do. After all, how are mere mortals expected to defend themselves against thunderbolts hurled by Zeus? In the past, one compelling argument for vigorous information security was to protect a business’ reputation. The reasoning: Companies that fail to safeguard customer data will suffer brand damage and lose customer trust, leading to lost sales and profits. While such losses have always been difficult to quantify, executives could understand at a gut level that exposing thousands of customer records to criminals makes the company look incompetent or even negligent. But this argument is showing cracks. First, there’s not a lot of evidence that a security breach has a lasting effect on a brand. Correct me if I’m wrong, but you could make the same argument about software quality: that software companies, especially the small or mid-sized companies, don’t do software testing or adequate testing because their peers don’t do enough, so users and customers are growing inured to the bugs, timeouts, and failures. The key difference, though, is that when this article talks about brands, it talks about TJ Maxx, DSW Shoes, OfficeMax, and so on. That is, customers build loyalty to something else about the company aside from the software: store locations, appreciation for its lines of product, convenience, price, and so on. For technology companies, the software is the brand. The customer/user does not have any loyalty to your company aside from what your software does. And if what your software does is break, your users will break–to the next piece of software that might suit their needs and does not have the record in their minds of failure. Case in point: Are you finding your Facebook streams starting to thin as your acquaintances move to Google+? QED. Could Your Bug Put Someone In Jail? Assertions by the prosecution that Casey Anthony conducted extensive computer searches on the word “chloroform” were based on inaccurate data, a software designer who testified at the trial said Monday. The designer, John Bradley, said Ms. Anthony had visited what the prosecution said was a crucial Web site only once, not 84 times, as prosecutors had asserted. He came to that conclusion after redesigning his software, and immediately alerted prosecutors and the police about the mistake, he said. Concerned that the analysis using CacheBack could be wrong and that a woman’s life might be at stake, Mr. Bradley went back to the drawing board and redesigned a portion of his software to get a more accurate picture. He found both reports were inaccurate (although NetAnalysis came up with the correct result), in part because it appears both types of software had failed to fully decode the entire file, due to its complexity. 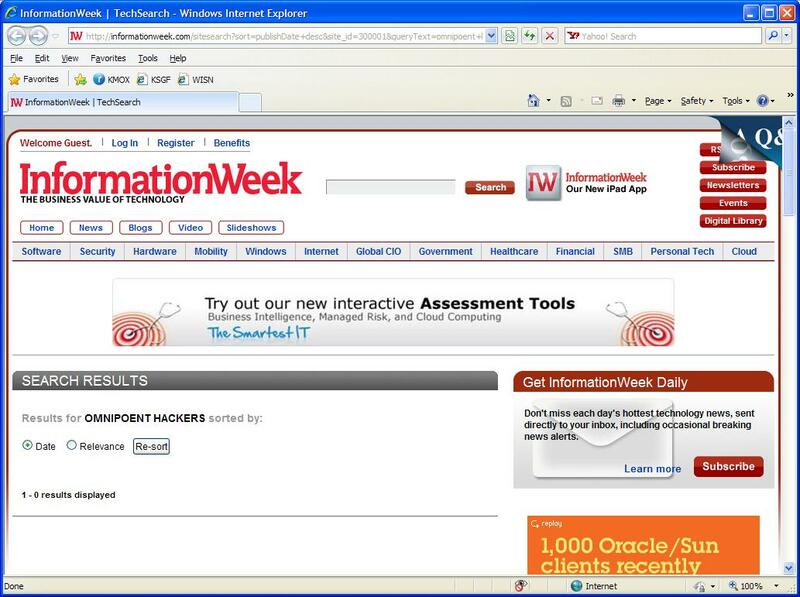 His more thorough analysis showed that the Web site sci-spot.com was visited only once — not 84 times. Remember, those defects your developers mark as “Known Issue” or reject still can have real-world effects. I, too, am one of nothing. 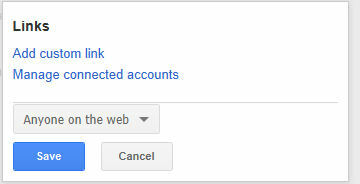 Strangely enough, this works on another of my machines and yields search results. I don’t know if it’s browser incompatibility or some sort of load balancing issue, where on machine is bound to a Web server that is working and the other is bound to a Web server that is not. However, it is broken. The software is wrong, not the people. This is a revolutionary statement. Mullenweg could have just told the man that “you’re doing it wrong” before telling him the “right” way to work with WordPress. Instead, the fact that users had problems with the media library told him that the software needed to be improved. I’ve seen too many defects called “training issues,” wherein a non-existent trainer was projected to teach users the convoluted workarounds necessary to avoid bug-infested dark corners of the application. But the motto above, the software is wrong, not the people, nails it, too. If professionals in the field are having trouble with your software, it’s not those professionals who need to change. It’s the “professionals” in the software industry–and often rank amateurs in the real-world field for which their software is intended–who need to improve. I’ve spoken on many occasions about the pitfalls of putting the labels within the text boxes in a data collection form. I know, the designers are all about the “real estate” as though they’re subdividing oceanfront lots in New Jersey, but they’re really doing it because that’s how the other cool designers are doing it this year. So allow me to show you a pitfall of this as it happens in Google+. I get a control box with focus set to it, so the cursor replaces any text that had been in it. Like the label. Being a seasoned computer veteran, I immediately typed my URL into that box, which failed. Ah! Not the URL, but a free text label to apply to the link. That is, the clickable text to display. But I had no idea. But real estate was saved! 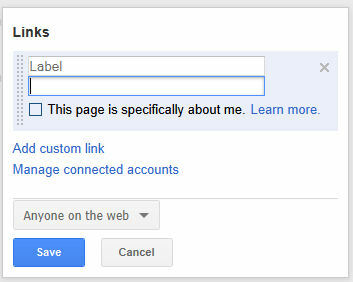 As I mentioned on Twitter, I’m currently up to 3 defects I’ve found with Google+ acting only in the capacity of a user. What’s your score so far? 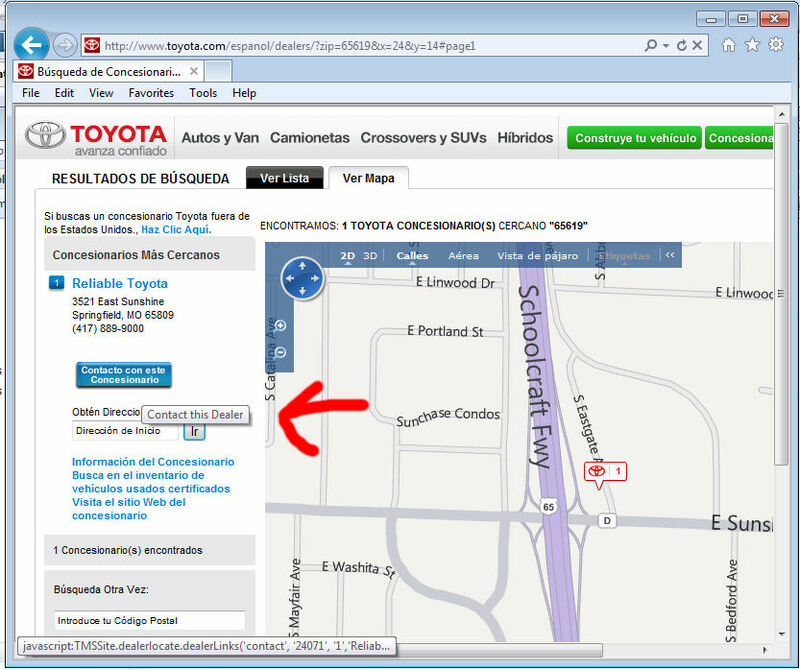 Toyota.com’s Spanish site is very good. Most elements, error messages, and alt text is translated. Say, 99% of it. You can always find something not translated on a foreign language version of a Web site within a couple minutes of looking. Unless you’re working on it professionally, in which case you will catch most things, but one thing will slip through that someone will find. Adding those nines is what gives me fits when testing. We’ve found 99% of the problems or have covered 99% of the code. That’s not enough. How can we add a nine to the end of the number and take it to 99.9%? How can we add another nine and make it 99.99%? How can we add another nine and…. But I repeat myself. Why it’s declining: This middle-class job requiring a four-year college degree and offering flexibility and an average salary of about $30,000 is on the chopping block. It contracted by over 6,000 positions in five years and is expected to continue shrinking through 2018 due to technology advances and shrinking media organizations. Contemporary culture is becoming more accustomed to grammatical and spelling errors, intentional and not, in what used to be formal communication. So companies can jettison their quality assurance professionals in this area. Now, think about how prevalent errors you encounter in the wild are becoming, and wonder if software quality assurance will follow the same pattern in five or ten years as companies determine users accept more annoyance and failure on the part of their applications and Web sites. Goodness gracious, I’m beginning to sound like the drunken wife of an ASQ official, lamenting late in a party that all our jobs are going to Asia. Except my fear is greater than that: the jobs might just go away. Posted in Miscellany | Comments Off on Who Could Tell? Full disclosure: One of those guys is my cousin. Probably the angry one. You are currently browsing the QA Hates You weblog archives for July, 2011.